The following reformat hard drive instructions guide will help you to format your computer from scratch. You format your computer for the reasons mentioned below. 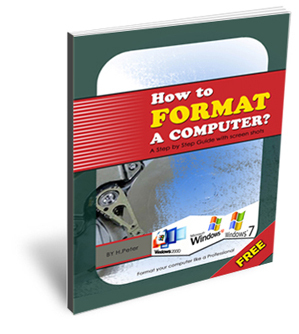 It is easy to format a computer; it will just take few steps to do it. If you want a guide, the following guide will show you how you can format a computer using step by steps and screen shots. Enter your e-mail address in the form below. We will send you the instant access to "How to format a computer?" guide.